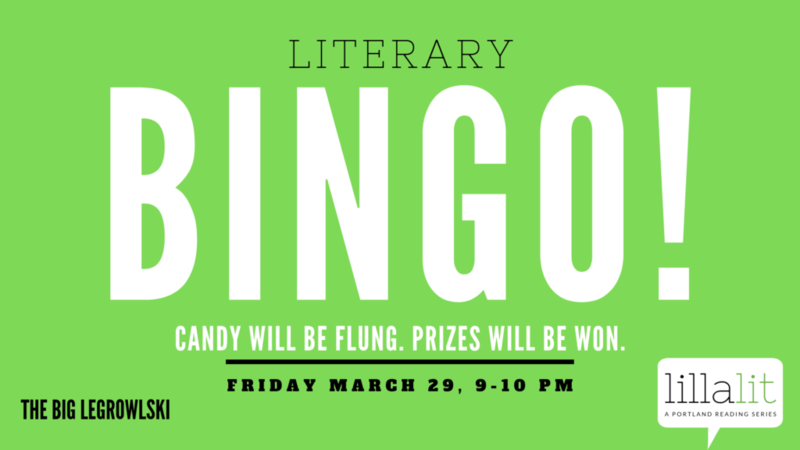 AWP Offsite Event: Literary Bingo Friday, March 29, 20199-10:15 PMThe Big Legrowlski (812 NW Couch St, Portland, OR 97209) Join us for a fast and furiously fun hour of Literary Bingo with your hosts, Lisa Gluskin Stonestreet and Virginia Bellis Brandabur. Candy will be flung. Prizes will be won. Bring your best game. Our all-star lineup: Brian Benson, Kate Carroll … Continue reading "Readings & Events"